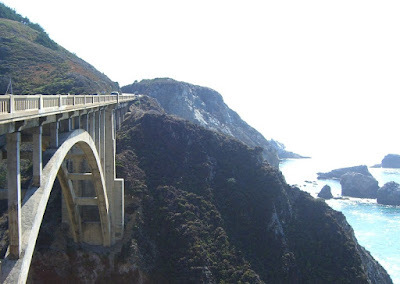 After our Toronado stop in San Francisco, we headed down the coast toward Big Sur. 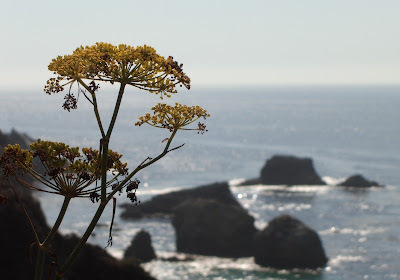 Along the way, we stopped overnight in Pacific Grove and had dinner at Passionfish. We had heard good things about this place and were looking forward to trying it. One of the things Passionfish is known for is having an interesting wine selection with low markup. It did not disappoint. The list was varied, and had many interesting selections in the $20 range. In keeping with our Basque theme, we had a bottle of Txomin Etxaniz Txakoli (how's that for a mouthful? ), which proved very enjoyable from start to finish. For food, we started with an order of fried calamari and an heirloom tomato salad. The calamari was disappointing -- overly salty (and I'm a salt fiend) but the heirloom tomato salad was our favorite dish of the evening. Nice ripe tomatoes in a flavorful vinaigrette and dotted with halved grapes which I enjoyed much more than I would have expected. For entrees we had an asian-themed sablefish dish from the menu and a sturgeon dish they had as a special. Both were just ok. The sauce for the sablefish was uninspired and we found the wasabi slaw on the side a strange accompaniment. The fish itself had a less pleasant flavor and texture than we have had elsewhere, and it also was full of bones. The sturgeon was not much better (although we've never had sturgeon before, and have no basis for comparison). It was served with a corn and bacon relish, which would have been better if the corn had had more "corn flavor" and the bacon were less overpowering. Overall, the meal was a let down. 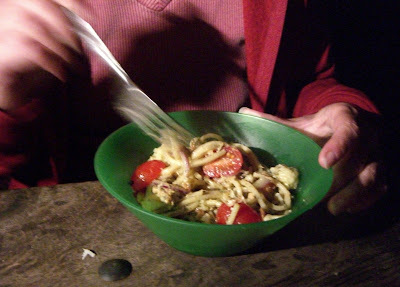 Other than the excellent tomato salad, we did not truly enjoy any of the dishes. My overall impression was ok food for an ok price. I would have rather paid half again as much for a more memorable dining experience. The next day we headed on down the coast along the beautiful Big Sur drive. 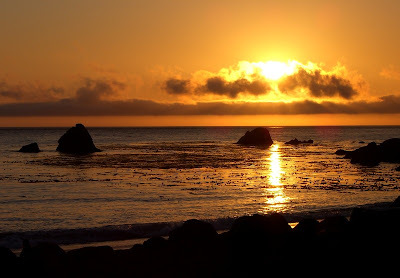 We camped for the night at Limekiln State Park, the southernmost public campground in Big Sur. We had never camped there before, and really only ended up there this time because it had the only campsite left in the park when we booked a month or so earlier. It turned out to be a beautiful little place with a private beach and campsites in amongst the redwoods. We caught a great sunset that night. And then put together a makeshift meal. Smoked salmon + pesto + spaghetti + tomatoes = dinner. 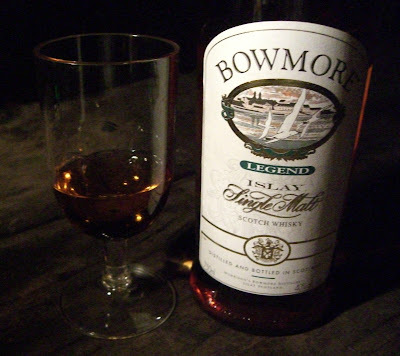 We had Jameson while camping on the way out through Zion and Bryce, so we gave the Scots their due this time around with a bottle of Bowmore, one of our favorite Scottish whiskys. The next morning we hiked the park's several short trails up the creek that runs through the campsites. 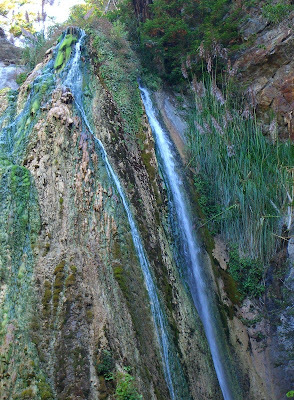 One trail leads up to a very pretty waterfall. Nice short visit to Big Sur. We'll definitely be coming back to Limekiln.